Friday Night Live, in partnership with the Salina Innovation Foundation and cash hollistah., are ready for the second annual FNL Christmas Party and Benefit Show. The big event is this Friday at 7 p.m. at the Masonic Center. The FNL Christmas Party and Benefit Show will take place on the third floor of the historic Masonic Temple building, in the Grand Ballroom theatre. The event is a celebration of performing arts, visual arts and the historic Art Deco building. The FNL Christmas Party will showcase the Salina Innovation Foundation, a new non-profit with a mission to preserve and endow the Salina Masonic Center, to keep the facility’s ownership local, and for use as a resource to foster growth in business, the culinary arts, and performance and visual art. cash hollistah. is a hip-hop recording artist and hard-working community builder. He produced the ONE MIC series at Ad Astra Books & Coffee House for five years and is an accomplished teaching artist who works regularly with area youth in spoken word and creative writing. Ethan Martin is a local singer, songwriter and producer. His unique sound is a blend of hip-hop, neo-soul and R&B. Cody Sanders is a local tattoo and graffiti-style artist, as well as an abstract expressionist painter. Sander’s work is a blend of his love for the abstract and his skill with the tight lines of illustration. Sanders will paint live in the lobby of the theatre during the FNL Christmas Party . Piper, now based in Kansas City, MO, grew up in a small Kansas town and was drawn to music as a child, influenced by her mother, an inspirational top-10 recording and touring artist. Since beginning her own career, Piper has been featured in numerous TV shows, podcasts, movies, on “America’s Got Talent” and has played concerts across the U.S., Canada and Africa. Phillip “Brail” Watson is a classically trained vocalist, cellist, songwriter, rapper, clinician, and producer. Watson is a graduate of the Berklee College of Music in Boston and originally is from Topeka. Watson is known for his dynamic stage presence, studio professionalism and hunger for social change. Aliyah Leana Stephens aka Madame Groove is an American DJ, entrepreneur, record producer, musician and teacher who lives in Manhattan, KS. Stephens is an accomplished musician, playing instruments including drums, bass, saxophone, trombone, tuba and violin. 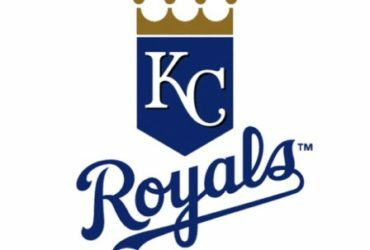 K Flex is a well-known DJ now living in Kansas City, KS. K Flex spins hip-hop, funk, rock and soul. He has a history in the Salina community and often is the guest DJ for the annual Salina Juneteenth Celebration at The City. The Masonic Center is located at 336 S. Santa Fe. 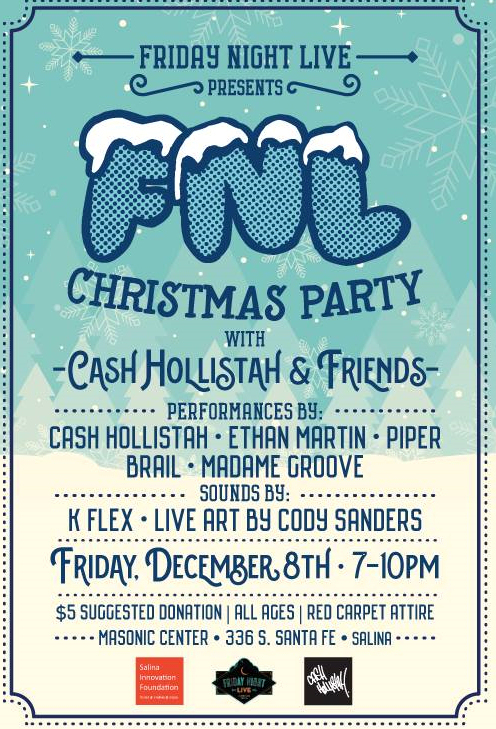 The FNL Christmas Party and Benefit Show is an all-ages event. Admission is a suggested $5 donation, with all proceeds to benefit the Salina Innovation Foundation. The third-floor theatre is wheelchair accessible.